Celia teaches students of all ages and levels. Lessons are one hour in length, and generally focus on vocal technique for the first half of the lesson, with the second half addressing repertoire, style, and performance coaching as needed. Celia offers a variety of workshops addressing different needs and interests of her students, including: Jazz Voice, Musicianship, Working with an Accompanist, Performance Skills, Musical Theater Auditions. There are also numerous opportunities to gain performance experience including open mics and showcases held at local clubs. Celia is a veteran jazz and pop singer and award-winning songwriter with a passion for teaching. As a performer and entertainer, she has appeared in venues from Boston to Bangkok, including top clubs like Scullers and Ryles in Boston, many special events, and a seven month, six-night a week gig at one of the world's top hotels (The Oriental in Bangkok, Thailand. 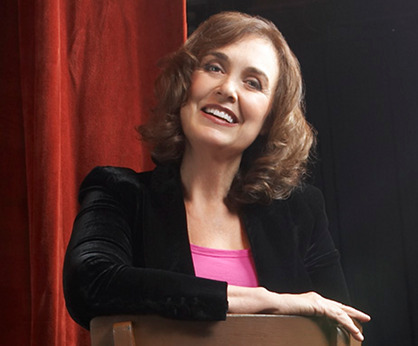 )Celia has released two CDs; Movin' On (2001) and Cast of Characters (2008); along with one EP (Cover Story, 2004).Originally trained in theater, Celia created an individualized Masters program at Lesley University that combined fieldwork in teaching with Jazz studies at New England Conservatory. Celia has taught thousands of students of all ages and abilities in vocal technique, acting, performance and presentation skills. Many of her students have gone on to professional careers in musical theater or as touring and recording artists. In addition to her private studio teaching, she is an adjunct faculty member at Salem State University and Lesley University. Styles taught: Jazz, musical theater, singer-songwriter, folk, rock, pop, cabaret, country. Celia has found Somatic Voicework(tm) to be extremely effective in improving students' vocal production while promoting their vocal health. The result is that students are able to express themselves freely and achieve their musical goals.